Are you looking for an amazingly constructed competition pad? 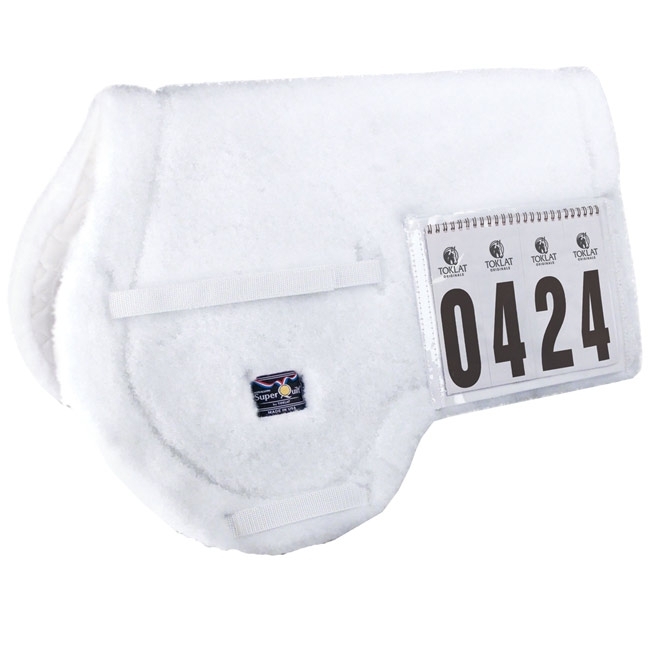 This Toklat Medallion Fleece Pad with Number Pockets is just the pad for you. It is constructed from Medallion Fleece that is the best of the best. This pad’s fleece won’t flatten or clump from use like fleece would. There aren’t any foam fillers in this pad making it breathable and unable to retain heat, soap, or moisture. There are two layers of Medallion fleece paired with SuperQuilt that is durable but soft from its brushed 100% cotton lining. The pad portion of this competition pad has truly thought of it all, but the addition of the plastic number holder it is the go-to for English riding competitions!